Wikipedia’s editors have voted to ban Breitbart as a credible source for entries on its site. The site has also prohibited authors from using InfoWars as a source in articles, reports Motherboard. In all, the site estimates that over 2,500 links to Breitbartexist among its articles. The Daily Mail was also banned as a citation source in February 2017, due to its sensationalist content and lack of fact-checking. Left-leaning sites have also been nixed. 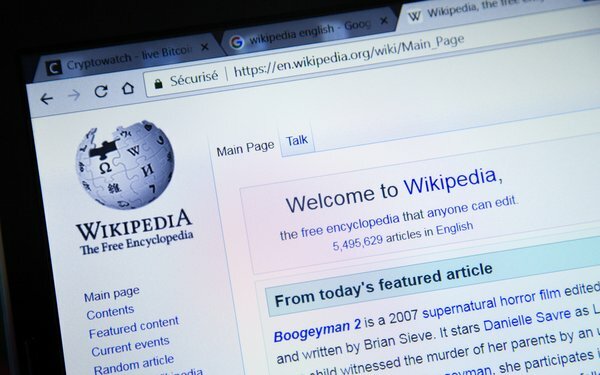 Wikipedia voted out progressive website Occupy Democrats' use as a reliable source and a credible citation, notes Motherboard. InfoWars also appears on Wikipedia’s global spam blacklist. Most recently, the Alex-Jones-led site has been banned across many platforms, including Facebook, YouTube, Spotify, Twitter, Apple, Snapchat, YouPorn and PayPal, which Jones announced he is suing, among others. Wikipedia editors involved in the vote did agree that Breitbartcould be used as a source when reporting on the outlet itself or those involved with it. Following the vote to ban Breitbart, Wikipedia editors began creating a master list of any opinion-related citations linked to the outlet across its website. Published comments on the vote can be found on Wikipedia. 1 comment about "Breitbart, InfoWars Banned As Wikipedia Sources". Henry Blaufox from Dragon360, October 4, 2018 at 8:35 a.m. There was a time, some years back, when traditionalists like myself questioned Wikipedia as a reliable source, as opposed to say, Encyclopedia Britannica. Wiki SEO expertise getting to position 1 or 2 made it easy to click on. But was it the most valid tertiary source? Whatever happened to that debate? What changed over the years?